These are one of my favorite cookies! With school starting soon I’ve starting making lists of treats to cook and freeze for their lunchbox treats. Along with this I need to start thinking of creative lunch box ideas. That means spending the weekends stocking up on groceries, school lunch & snack food items, and do as much meal prepping and planning as I could do. M starts kindergarten this year and I know we will busy with school activities, dance class, and much more. 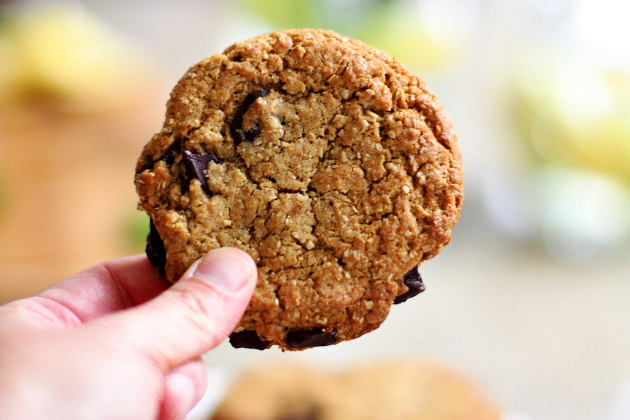 The girls love having a special treat in their school lunches, so we made these yummy Oat Bran Chocolate Chip Cookies (which are vegan). We had so much fun making these together! I like to cut the cookie in fourths and serve the “cookie triangles” in their lunchbox. In a large bowl mix together the dry ingredients. Combine the oil, orange juice, and vanilla; then mix with the dry. Roll the dough in your hands to make 1 1/2 inch balls. 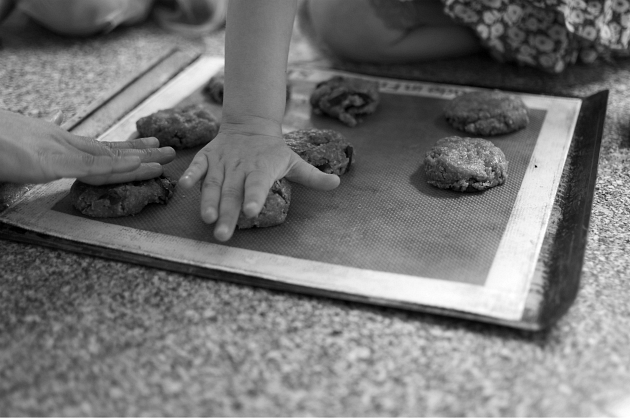 Place them on a large cookie sheet and flatten them to about 1/4 inch thick with your fingers or a fork. Bake at 400 degrees on middle rack for about 12 minutes or until they are just beginning to brown. Cool on cookie racks. 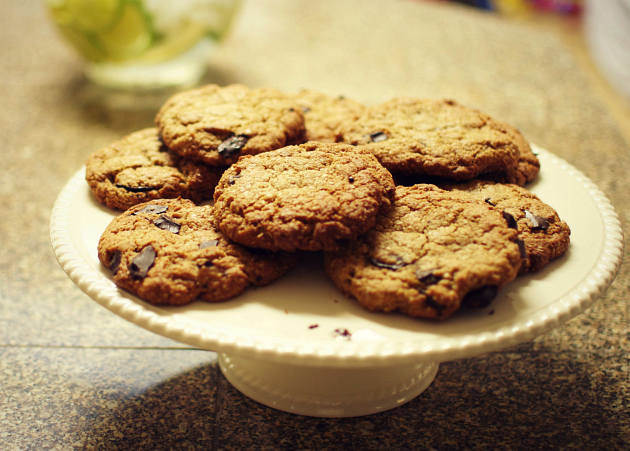 I love the idea of making cookies with an oat bran base – so much extra nutrition! Oat bran has a good quality protein (all most important aminoacids), many manganese, phosphorus, vitamin B-1, no cholesterol. 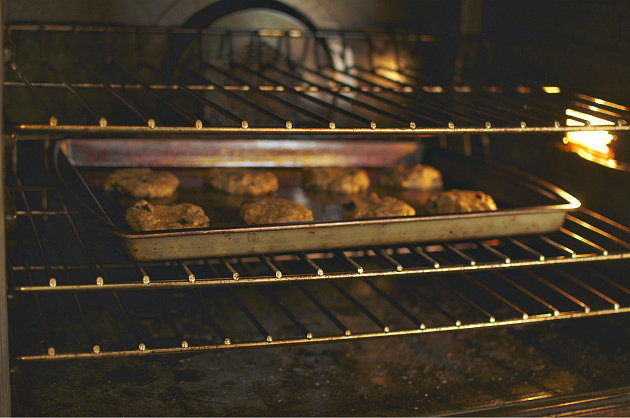 It makes cookies healthier.